For current EADA information, please contact Athletic Director, Moriah Van Norman. Yet again another amazing season has concluded for our Lady Brahmas and what a successful one it's been! When their journey began months ago, who would have thought that they would have finished with an overall record of 13-6-3 and earning yet again another berth to the CCCAA Southern Region Playoffs. This accomplishment makes Pierce College the only college in the state to make playoffs every year since its inception. Pierce opened the first round of playoffs on the road by traveling to #16 seed LA Valley College (13-6-2) and after 90 minutes the Lady Brahmas defeated the Monarchs yet again to advance to the next round of the playoffs. In the next round, the Lady Brahmas would go on the road to take on #1 Cerritos College (20-0-0). After competing for 90 minutes, the magical season came to an end in defeat as they fell short to the #1 ranked team. Pierce was led by the fantastic play of a group of sophomores that anchored the team at its core and leaves us with great production and prestige. Kerian Neal (El Camino Real Charter HS) followed up her impressive 2017 season with a stellar 2018 season as she was the leader of a defensive unit that was one of the best in the conference. This production led her to earn 2nd Team All WSC South honors and Pierce College Defensive MVP for the 2nd consecutive season. Giselle Cruz (Van Nuys HS) set the set the conference on fire as the talented local star put up incredible numbers. Her 21 goals and 19 assists for 61 total points ranked her near the top of every category in the conference and also the state. She ranked 14th in golas, 6th in assists and 7th best in total points in the state. She leaves Pierce College as one of the best players to play in the storied program. 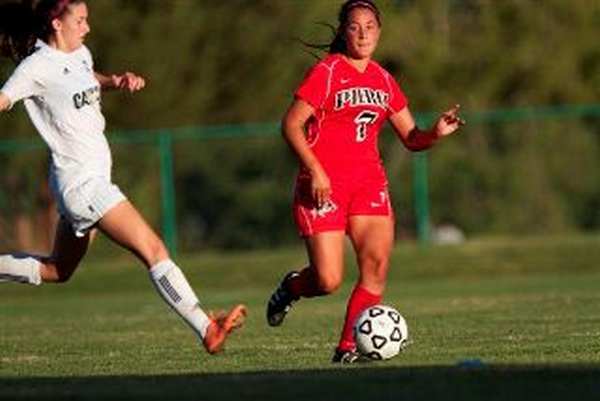 In her two seasons with the Lady Brahmas, she tallied 35 goals, 27 assists and 97 points. Her play earned her 1st team All WSC South honors for a 2nd consecutive season and Pierce College MVP award. Sophomore Diana Salonga (Chatsworth HS) cannot go overlooked as she helped form one of the best defensive units in the conference. Her efforts, dedication, commitment and leadership earned her Pierce College Brahma of the Year. Adriana Sosa (Van Nuys HS) showed great tenacity and determination to return from an ACL injury she experienced last season. Her return was long overdue and much needed. The talented center midfielder came in late in the season and contributed great minutes and was able to tally one assist. Irene Reyes (Heritage Christian HS), a returner from last season, suffered an ACL injury in the third game of the season to cut short her year. We hope she recovers and returns next season. Jocelyn Ramos (Taft HS) returned for a 2nd season having improved so much from her 1st season as a freshman. She brought her knowledge she earned and passed it along to the freshman class. We would like to thank you for your efforts and commitment you have shown. As impactful as the sophomores were, they couldn't have done it without the play of the very talented freshmen class. Diana Millan (Agoura HS) lead this group with her leadership as she contributed 5 goals and 28 assists which led the conference, as well as the state. These impressive numbers tallied up to 38 total points. It also broke the 18-year old record for assists in a season. This earned her 1st Team All WSC South Conference honors. Millan's success couldn't have happened without contribution of freshman sensation Keyonna Hill (Taft HS). Hill was an impactful and powerful player that gave opposing defenses trouble all over the field. She used her athleticism, speed and desire to total 29 goals and 5 assists for 63 total points. This earned her 1st team All WSC South honors. Hill could not have done it alone up top without freshman forward Jessika Tapia (Chatsworth HS). She gave the teams trouble up top with her opportunities she got in front of the goal. 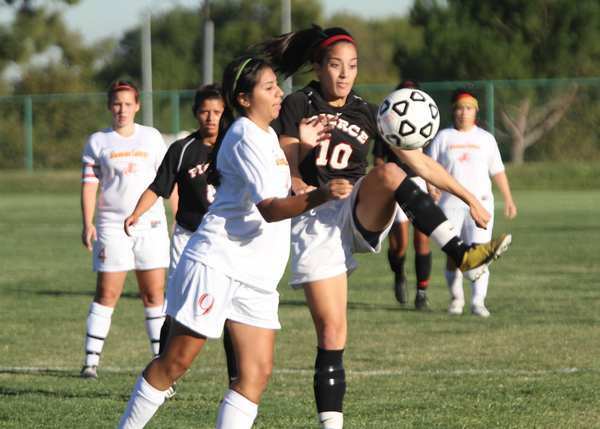 She finished the season with 4 goals and 6 assists, earning her 2nd team All WSC South honors. Fellow freshman Jordyn Conlon (El Camino Real HS) played a major role in why the Brahmas put points on the board. With her ability to get up in the air, clear balls with her head, to her excellent defending and potent offensive attack, Conlon earned 1st team All WSC South honors with 5 goals and 3 assists. 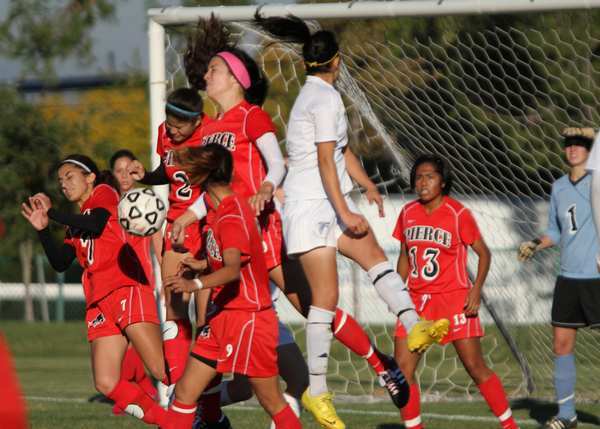 The Brahma forwards did not do it alone without help the help of defender Jessica Palmer (Himeji Nishi HS, Japan). 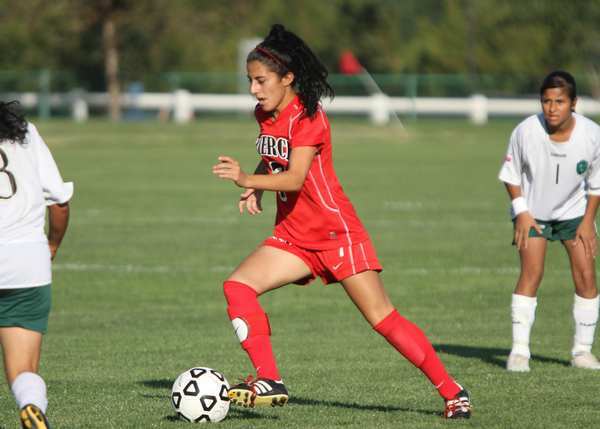 She helped the Lady Brahmas with her commmitment to the team, her pace and great left foot. she helped the team with her 3 goals and 7 assists, earning her 2nd team All WSC South honors, for her ability to move around the midfield and give teams some trouble with her one time goal finishing. 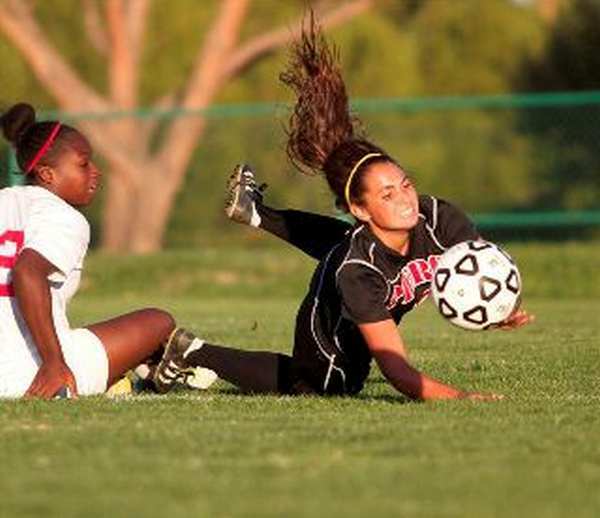 The Lady Brahmas could not have the season they had without one major contribution, not only on the field, but in goal. Goalkeeper Iliana Yanez (Cinco Ranch HS) played some major minutes in crucial games and kept the ball from the back of the net. She came up big in the games the Brahmas needed her in. Yanez even helped out in the backline keeping balls from going behind her and her defense. Yet her journey was cut short due to a concussion and was not able to continue playing. She earned All WSC South Honorable Mention and Pierce Most Improved Player award. We are looking forward to her recovery and returning next season. As a team and being one unit, the Lady Brahmas cold not have done it without the extraordinary contributions from everyone on the team. Every single player made an impact on and off the field. We thank you for your commitment, sacrifice, and dedication to the team. Players like Madison Holland, Valerie Mojica, whose seasons were cut short by injuries. You ladies contributed so much in goal with amazing saves. Stay strong and focused and prepare for the season to come. Thank you to the rest of the Lady Brahma freshman, Emily Claros, Sherry Ramos, Sophia Spear, Skylar Meyers, Johanna Guevara, Dominique Gonzalez, and Elizabeth Dominguez. You ladies will make our program stronger and bright for the next season. Pierce College is a flourishing two-year public institution in Southern California providing opportunities for occupational training, transfer education, preparing students to take their place or to retrain in industries at the forefront of technological advances. The creation of the 15-week semester plan led to higher enrollment and better learning retention. With two five-week summer sessions and one five-week winter session, students are enjoying the opportunity to move more quickly through the curriculum with greater academic success. Many Pierce College students transfer to the University of California system, the California State University, and private universities to earn bachelor's degrees. Pierce combines academic excellence with a friendly and helpful faculty and staff. It has a solid reputation for being a student-friendly institution, offering students high-quality and challenging education that will prepare them for university or vocational work. 1. Pierce College is recognized as one of the TOP transfer schools in Southern California. 2. The College has alliances with UCLA, UC Berkeley, UC Davis, Cal State Northridge, CalTech and most other California schools. 3. Woodland Hills is located a few miles away from most of Southern California entertainment attractions including Hollywood, Universal Studies and Disney Studios. 4. The summers are warm and the winters are mild. We are located just 10 miles away from Malibu beaches! 5. Coursed in almost 100 subject fields. 6. Campus sits on 426 acres, a site larger than UCLA. 7. With more than 2,220 trees, thousands of roses throughout the campus, and small herds and flocks of livestock, Pierce College is a small teaching farm laboratory. 8. The college reflects the truly cosmopolitan environment of Southern California with hundreds of international students mixing well with an already diverse population. 9. Enrollment at the college is more than 23,000 students and it still maintains a friendly atmosphere with students benefiting from small class sizes and individula attention from professors. Pierce College continues to be a force to be reckoned with in the Western State Conference. The Lady Brahmas are led by Head Coach Adolfo Perez. The hold an impressive 11 Conference Championships since the program's inception back in 2001. It holds an overall record of 273 victories, 54 defeats, and 60 draws. That's a 702% winning percentage, and an average of 17 wins per season over 17 years. The Lady Brahmas also have made 17 straight seasons of making an appearance in the playoffs; a distinction that no other program can claim. The success of the program has made it a top desitnation for many top players in the area to continue their pursuit of their soccer and academic goals. Yet again another amazing season has concluded for our Lady Brahmas and what a successful one it's been! When their journey began months ago, who would've thought that they would’ve finished with an overall record of 13-6-3 and earning yet again another berth to the CCCAA Southern Region Playoffs. This accomplishment makes Pierce College the only college in the state to make playoffs every year since its inception. 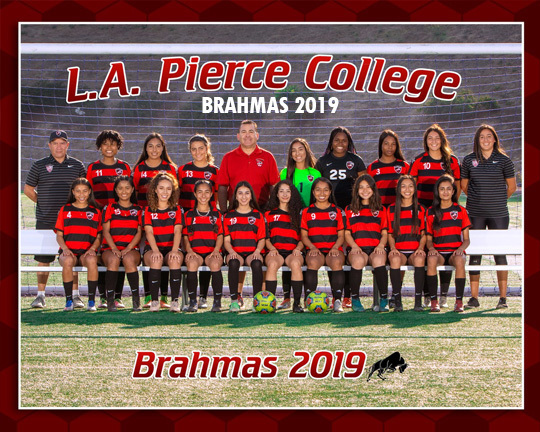 Pierce opened first round playoffs on the road by traveling to #16 seed LA Valley College (13-6-2) and after 90 minutes the Lady Brahmas defeated the Monarchs yet again to advance to the next round of the playoffs. In the next round, the Lady Brahmas would again go on the road to take on #1 Cerritos College (20-0-0). After competing for 90 min the magical season finally came to and end in defeat as they fell short to the #1 ranked team. Pierce was lead by the fantastic play of a group of sophomores that anchored the team at its core and leaves us with great production and prestige. Kerian Neal (El Camino Real Charter HS) followed up her impressive 2017 season with a steller 2018 season, as she was the leader of the defensive unit that was one of the best in the conference. This production lead her to earn 2nd Team All Western State South Conference honors, Pierce College Defensive MVP for the second consecutive season. Gisell Cruz (Van Nuys HS) set the conference on fire as the talented local star put up incredible number. Her 21 goals and 19 assist for 61 total points ranked her near the top of every category in the conference but also the state. She ranked 14th in goals, 6th in assists and 7th best in total points in the state. She leaves Pierce College as one of the best players to play in the storied program. In her to two seasons with the Lady Brahmas she tallied 35 goals 27 assists and 97 total points. Her play earned her for a second consecutive season 1st Team All Western State South Conference honors and Pierce College Most Valuable Player award. Sophomore Diana Salonga (Chatsworth HS) cannot go overlooked as she helped form one of the best defensive units in the conference. Her efforts, dedication, commitment and leadership earned her Pierce College Brahma of the Year. Adriana Sosa (Van Nuys HS) showed great tenasity and determination to return from an ACL injury she experience last season. Her return was long over due and much needed. The talented center midfield came in late in the season and contributed great minutes and was able to tally one assist. Irene Reyes (Heritage Christian HS) a returner from last season team suffered an ACL injury in the third game of the season to cut short her year. We hope she recovers and returns next season. 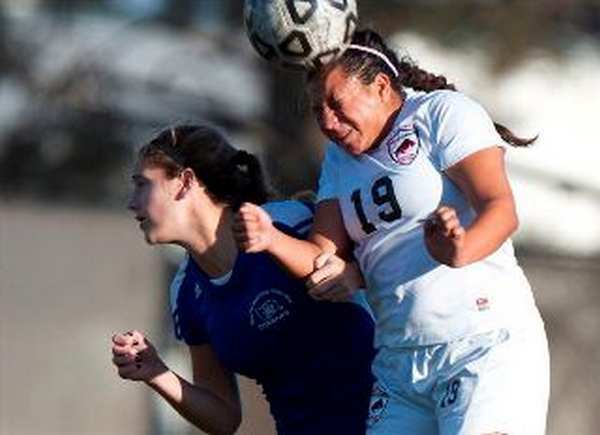 Jocelyn Ramos (Taft HS) returned for a second season having improved so much from her first season as a freshman. She brought her knowledge she earned and passing it along to the freshman class. We would like to thank you for your efforts and commitment you have shown. As impactful as the sophomores were, they couldn't have done it without the play of the very talented and loaded freshman class. Diana Millan (Agoura HS) lead this group with her leadership as she contributed 5 goals and 28 assist which lead the conference but also the state, these impressive numbers tallied up a total of 38 total point. It also broke the 18 year old record of assist in a season. This earned her 1st Team All Western State South Conference honors. Millan success couldn't have happen without the contribution of freshman sensation Keyonna Hill (Taft HS). Hill was an impactful and powerful player that gave opponents defenses trouble all over the field. She used her athleticism, speed, and desire to total 29 goals and 5 assist for 63 total points. Earning her 1st Team All Western State South Conference honors. Hill could not have done it alone up top without freshman forward Jessika Tapia (Chatsworth HS). She gave the teams trouble up top with her opportunities she got in front of the goal. She finished the season with 4 goals and 6 assists. Giving her the honors of 2nd Team All Western State South Conference. Fellow Freshman Jordyn Conlon (El Camino Real HS) played a major role in why the Brahmas put up points on the board. With her ability to get up in the air, clear balls with her head, to her excellent defending and potent offensive attack. Conlon earned 1st Team All Western State South Conference honors, with 5 goals and 3 assists. The Brahma forwards did not do it alone without the help of defender Jessica Palmer (Himeji Nishi HS, Japan) coming from Japan and is a long was from home. Helped the Lady Brahmas with her commitment to the team, her pace and great left foot. 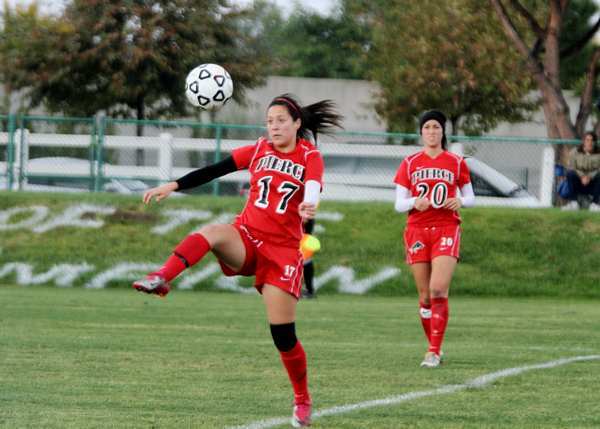 She helped the team with her 3 goals and 7 assists, earning her 2nd Team All Western State South Conference honors. Cristina Peruch (Van Nuys HS) freshman midfielder also played a major role in the Lady Brahmas season and earned Honorable Mention All Western State South Conference honors, for her ability to move around the midfield and give teams some trouble, with her one time goal finishing. The Lady Brahmas could not have the season they had without one major contributed not only on the field but in goal She got to play in some major minutes in crucial games and keeping the ball out from the back of the net is Freshman goalkeeper Iliana Yanez (Cinco Ranch HS). Yanez came up big in games the Brahmas needed her in. She even helped out in the backline keeping balls from going behind her and her defense. Yet her journey was cut short due to a concussion and was not able to continue playing, She earned herself Honorable Mention All Western State South Conference and Pierce Most Improved Player award. We are looking forward to recovery and returning next season. As a team and being one unit, the Lady Brahmas could not have done it without the extraordinary contributions from everyone on the team. Every single player and made an impact on and off the field and we thank you for your commitment, sacrifice and dedication to the team. Players like Madison Holland, Valerie Mojica whose seasons ended short after being injured. You Lady’s contributed so much in goal with amazing saves. Stay strong and focused and prepare for the season to come. Thank you to the rest of the Lady Brahma Freshman, Emily Claros, Sherry Ramos, Sophia Spear, Skylar Meyers, Johanna Guevara, Dominique Gonzalez, and Elizabeth Dominguez. You young Ladies will make our program stronger and bright for the next season. "BRAHMAS ARE VERY RARE PEOPLE"